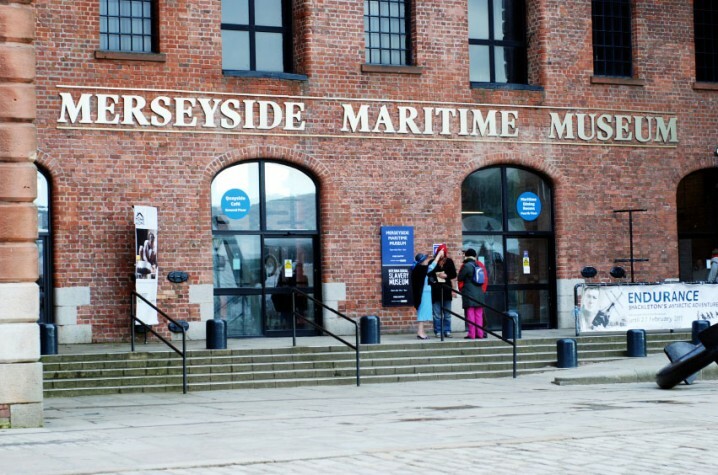 The Merseyside Maritime Museum at Albert Dock explores Liverpool’s rich maritime history and is one of the country’s most popular tourist attractions. The Seized! gallery is the official national museum of the UK Border Agency. Situated in the basement of the building it examines topics such as smuggling, taxes, and counterfeit products. Exhibits include steel girders used to smuggle cigarettes into the UK and fighting knives intercepted at Manchester Airport. The Titanic, Lusitania, and the Forgotten Empress gallery explores the history of three ships that met with tragic ends. It includes fascinating objects recovered from the wreck of the Titanic such as a passenger’s watch, crockery, and a ventilation grill. The gallery also houses a scale model of the ship and a survivor’s lifejacket. The Art and the Sea gallery boasts a huge collection of model ships and maritime paintings while the Emigration gallery tells the story of the millions of emigrants that have sailed from Liverpool in search of a better life. The third floor of the building is home to the International Slavery Museum. The museum is open 7 days a week, every day of the year except Christmas Day, Boxing Day, and New Year’s Day. Opening hours are 10 am to 5 pm. Entry to the museum and all exhibitions is free. The Maritime Dining Rooms on the fourth floor offers fantastic views of the Albert Dock and has featured in the prestigious Michelin Guide while the Quayside café on the ground floor offers snacks, hot and cold drinks, and free wireless internet access. Other facilities at the Merseyside Maritime Museum include a children’s play area, information desk, baby changing area, and a shop selling gifts, books, and postcards. The museum is situated at the northern end of Albert Dock. The closest mainline railway station is Liverpool Lime Street, approximately ¾ mile from Albert Dock. Visitors preferring not to walk can take the Merseyrail train to James Street, ¼ mile from the museum, or take a CityLink bus directly to Albert Dock. Albert Dock is well signposted from the M62 motorway. There is limited pay-and-display car parking at the dock itself. More car parking is available at the Echo Arena and Liverpool One. 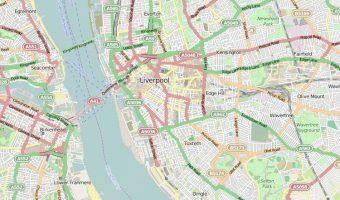 Map showing location of Merseyside Maritime Museum. WENT ON MONDAY WITH FAMILY. I ALWAYS ENJOY IT. I TOOK MY DAUGHTER TO THE LEAVING OF LIVERPOOL ROLE PLAY. SHE WAS ENGROSSED. THE ACTORS ALWAYS DELIVER. THE PLACE HAS CHARACTER AND REALLY BRINGS THE PAST ALIVE. I AM ALWAYS TELLING PEOPLE ABOUT IT. I loved this museum. I spent a lot of time here and found the emigration section amazing. The mock conditions on the ships and streets of Liverpool in 1850’s is a wonderful experience and a little scary! I would recommend this museum as THE place to visit in Liverpool. The whole city has great architecture and entertainment as well as historical importance to the rest of Britain. I never knew so many famous people came from this city and didn’t have enough time here to cover everything. So I will definitely be paying a return visit. Wonder why tours only spend 1 day here before moving to the next place on the itinerary! This is a very large and interesting museum. You could easily spend a couple of hours here.